The Blue Grass State is not yet gambling-friendly enough to allow legal sports bets. The state of Kentucky has a proud heritage of producing world-class athletes, particularly in basketball. High school and college basketball is the unofficial sport of Kentucky in the same way that football can be considered a religion in Texas. The state of Kentucky is home to several amazing horse racing tracks, and racebook bets are legal in the state primarily because of the state’s close historic ties to the industry. Unfortunately for fans of traditional sports wagering, Kentucky is not yet home to a single legal sportsbook. You can’t even play a casino game within state lines. While some neighboring states have bowed to pressure from Native groups and allowed some limited tribal gaming options, Kentucky offers racebook betting and nothing else. You’d expect to find some electronic slots, video poker, or bingo games in the lobby areas at race tracks, but they’re simply not allowed by Kentucky law. Kentucky is not home to any pro sports teams, which may come as a surprise considering the amount of basketball, football, and baseball talent produced by the state’s many colleges and universities. One side effect of the state’s lack of pro sports teams – heavy emphasis on fandom for your favorite Kentucky NCAA school. The state is also home to seven more universities competing at the D-2 or D-3 level. This wealth of college athletics puts Kentucky in the national spotlight during each of the NCAA’s major sports – football, basketball, and baseball. Though some of the schools listed above have had limited success in NCAA football, basketball is where the state of Kentucky does the most of its damage. Between Kentucky and Louisville alone are twenty-seven Final Four appearances and twelve NCAA championships. These two teams have been so dominant in the sport, the national media is a constant presence during the basketball season. And to think – the schools are less than 80 miles away from each other. Rivalry between Kentucky NCAA programs is rampant, in part because of the proximity between schools and fans. It seems like Kentucky would make a perfect location for a sportsbook, since American fandom is seldom more intense. The state even has a mechanism in place for accepting legal bets – just look at the racebook industry and its success and regulation. No doubt, most of the money wagered on Kentucky sports teams is on either Kentucky or Louisville during the NCAA season, and especially during March Madness. No school has appeared in basketball’s big tournament more than Kentucky (at 54 appearances), and Louisville is fast approaching that number, with 40 appearances under its belt. Chances are, if it’s March, the Cardinals and the Wildcats are playing basketball on TV. Because Kentucky and Louisville are both regular title contenders, the betting public comes out hard to support them, especially in early rounds. As a sports bettor, you should know what to do with a heavy favorite – look for line movement against Kentucky and Louisville because of heavy betting by the herd. This is a great way to find good underdog betting opportunities. Unlike in other states, no other forms of gambling are allowed at these race tracks. Kentucky is not home to any racinos or electronic game allowances at horse tracks. You can bet at the tracks on live races and a few off-track events as well via simulcast, though this options isn’t yet available at every track in the state. Kentucky law does not indicate that placing a bet on sports over the Internet is explicitly illegal. Some states have clauses in their penal code that state (in their own terms) that wagers of any kind over an Internet connection are unlawful. That’s not the case in Kentucky. 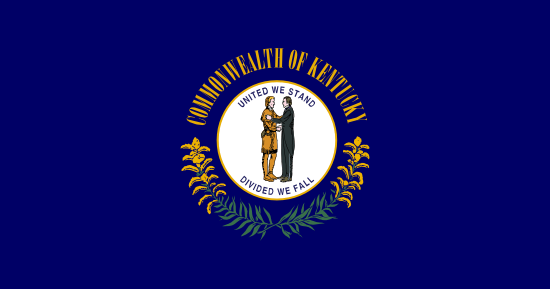 US-friendly sportsbooks are welcome to do business in the Bluegrass State. As far as I can tell, no one has ever been prosecuted in the state of Kentucky for placing a bet on sports. So long as you open an account with a reputable sportsbook doing legitimate business with American customers, you’ll probably be in the clear. But don’t take my word for it. I’m not a lawyer. This isn’t intended as legal advice. Sports betting in America is a murky landscape, and though Kentucky doesn’t have laws against it, federal law might apply. If you’re genuinely concerned about the legality of online sports betting while in the state of Kentucky, contact a lawyer familiar with the state’s legal code. Sports betting is a multi-billion dollar industry – and that’s just the legal bets. Estimates of how much illegal sports gambling takes place indicate that far more bets are made with bookies than at legitimate sportsbooks. If you live in Kentucky, you have a rich tradition of college athletics to support, a handful of world-class horse race tracks where you can place legal racebook bets, and not much else. For the time being, betting on sports in the state of Kentucky is illegal.